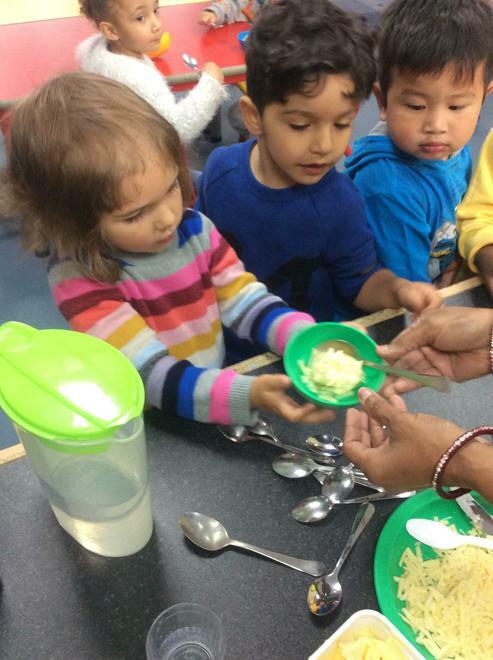 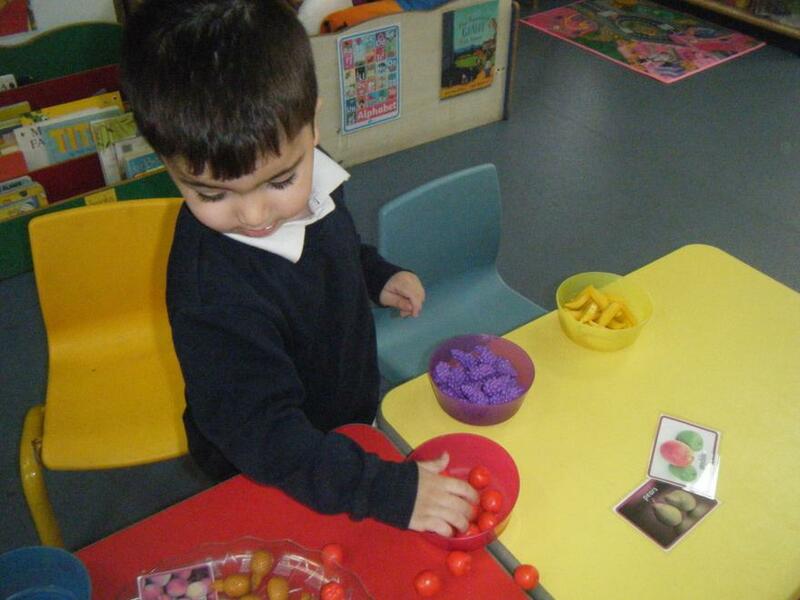 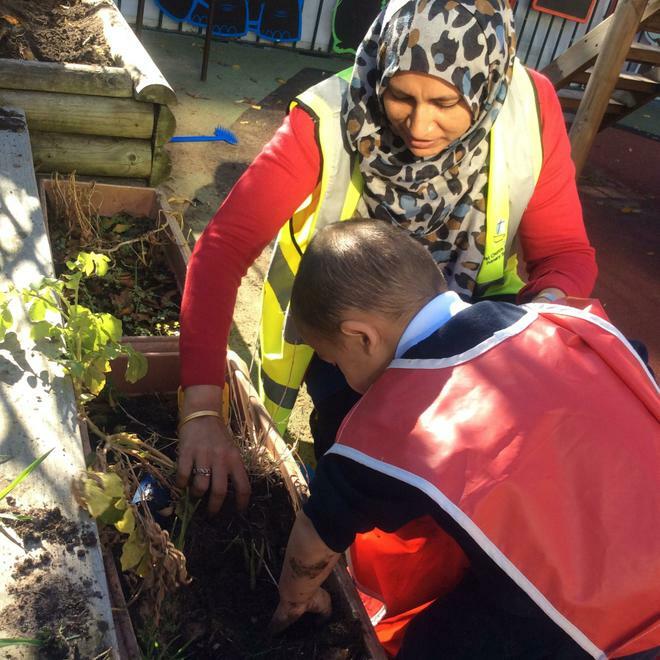 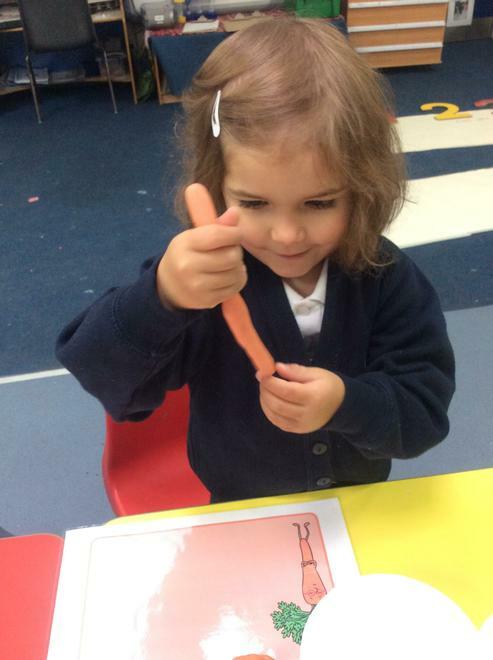 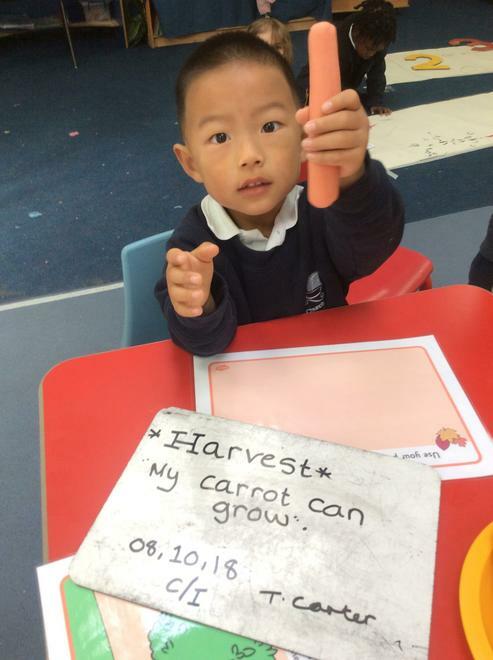 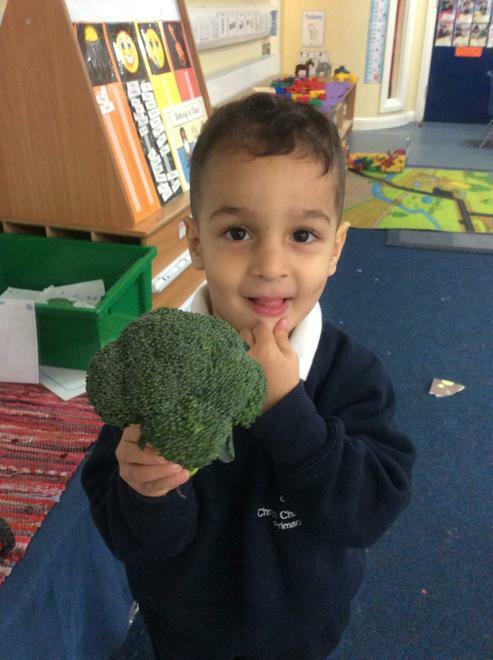 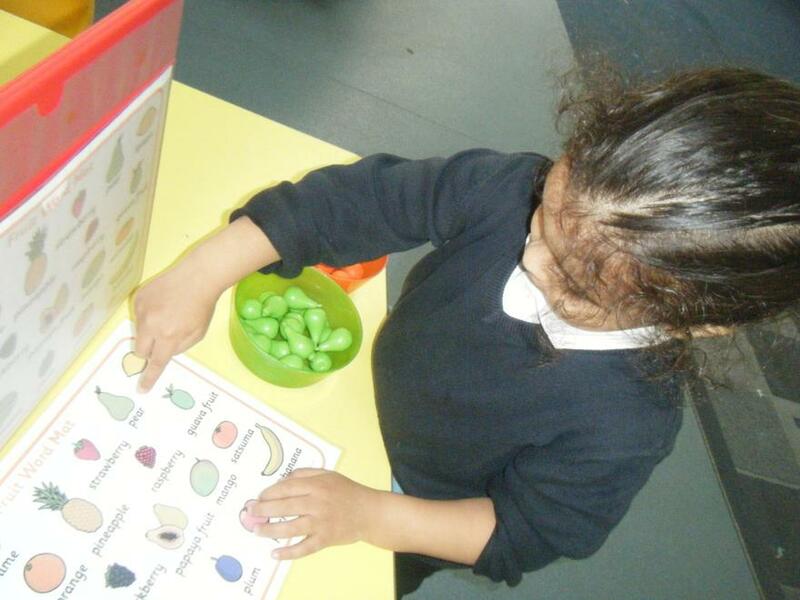 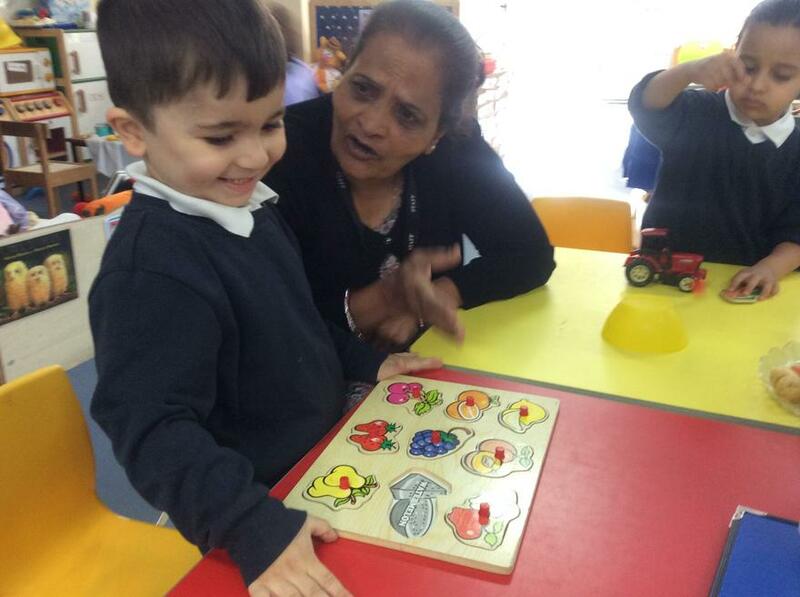 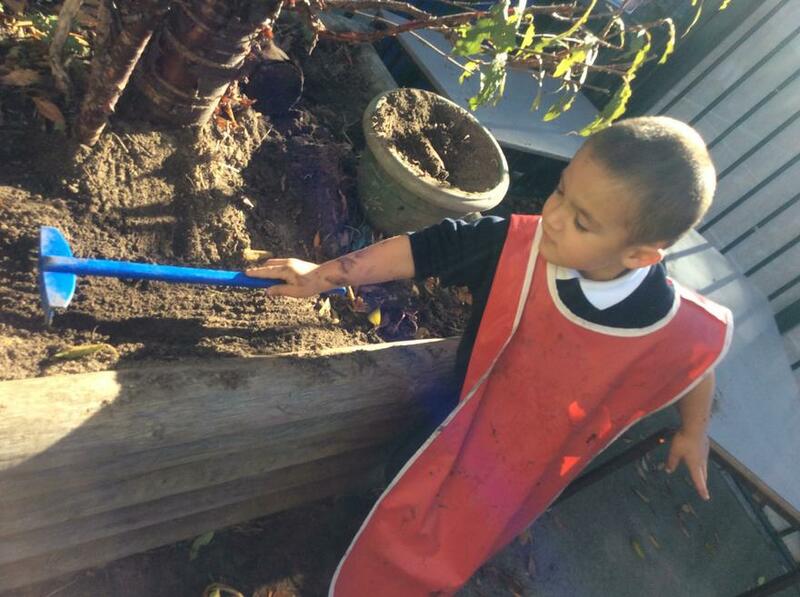 For Harvest, Nursery class learnt about harvesting fruit and vegetables. 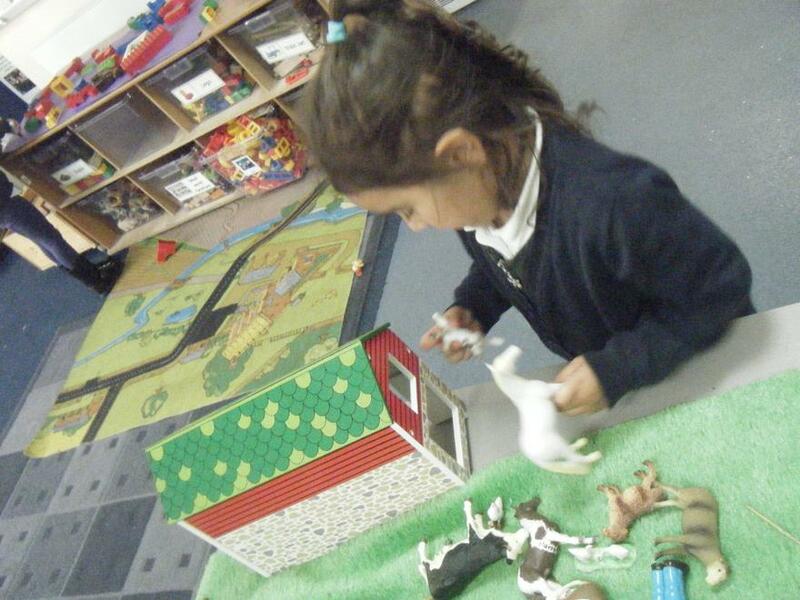 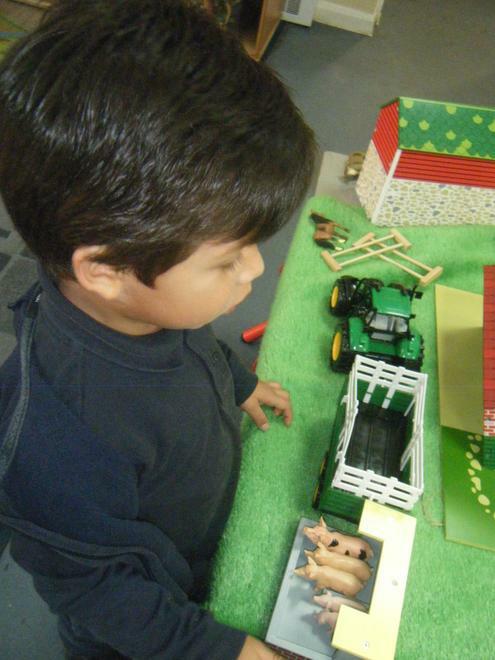 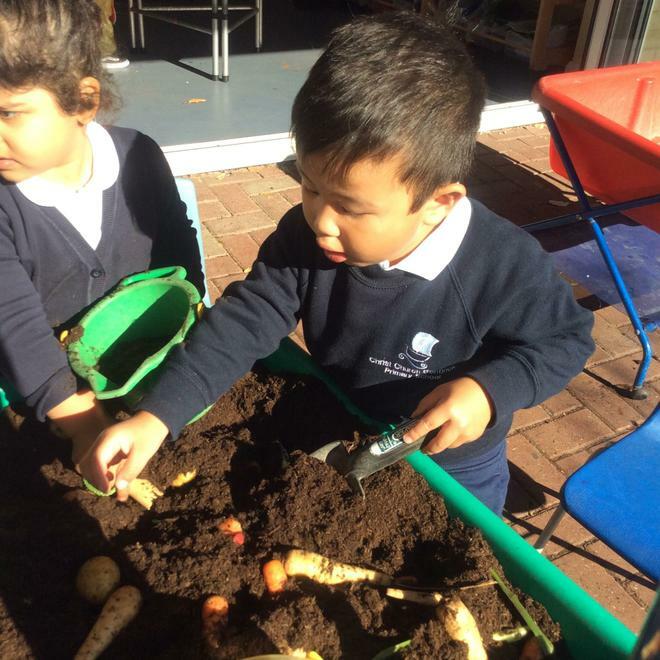 They explored digging up vegetables and played with the farm set. 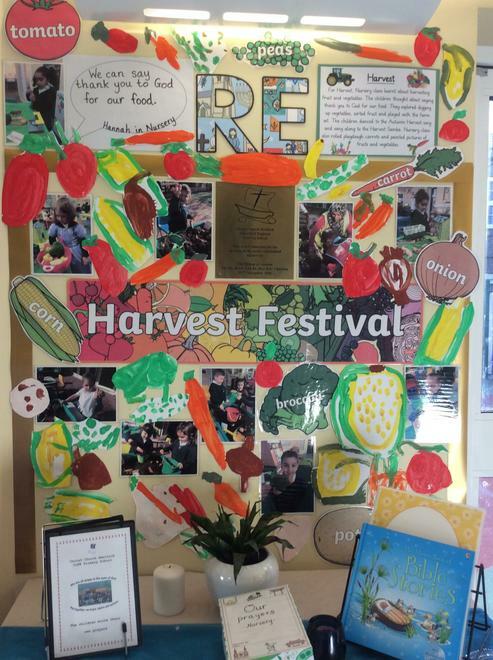 The children danced to the Autumn Harvest song and sang along to the Harvest Samba. 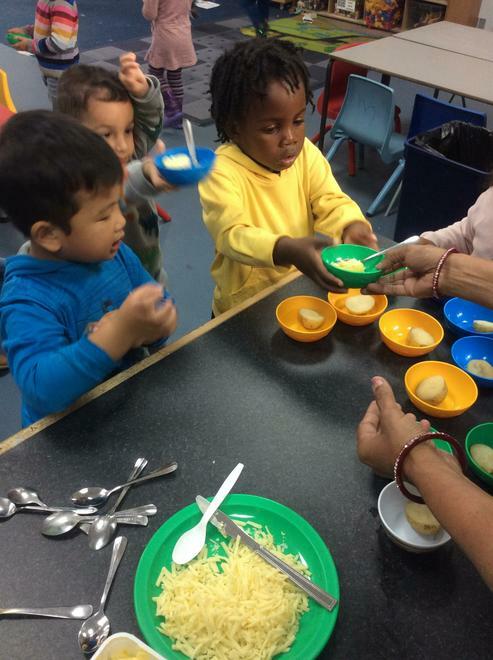 They thought about saying thank you to God for their food. 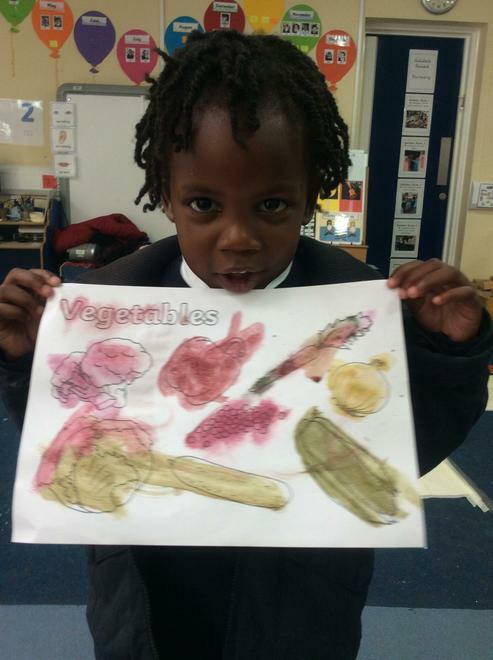 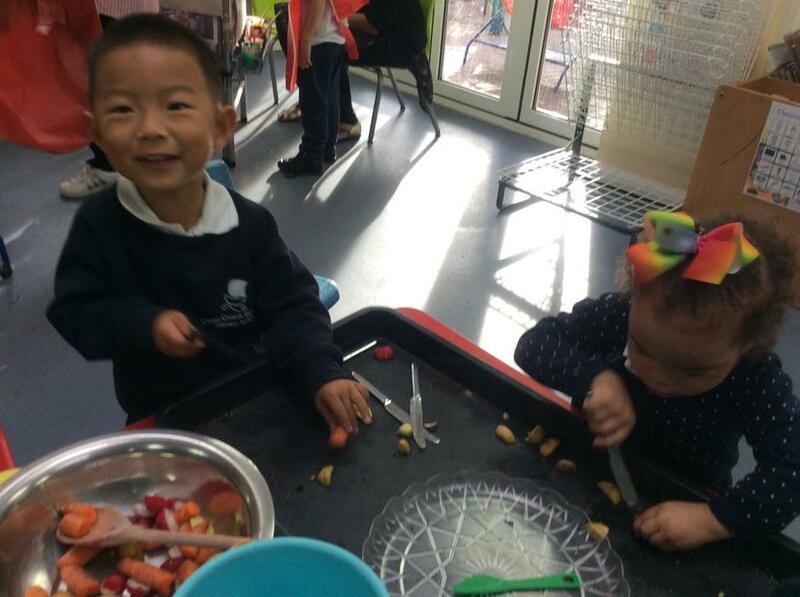 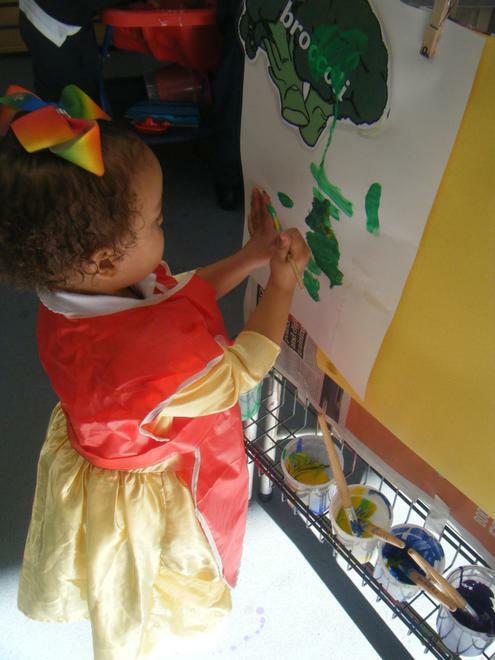 Some of the children also rolled playdough carrots and painted pictures of vegetables. 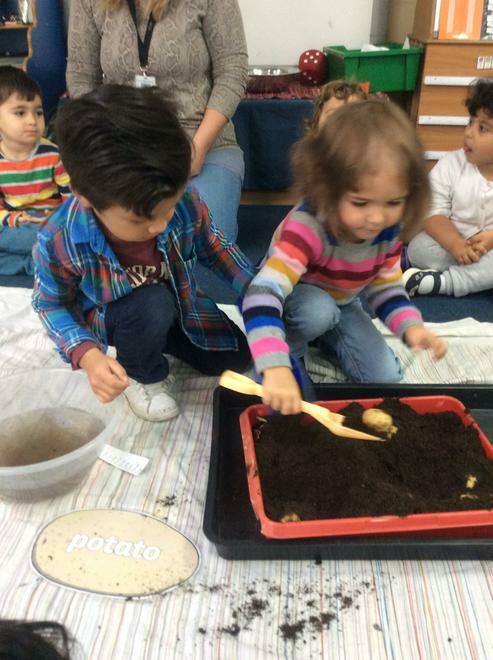 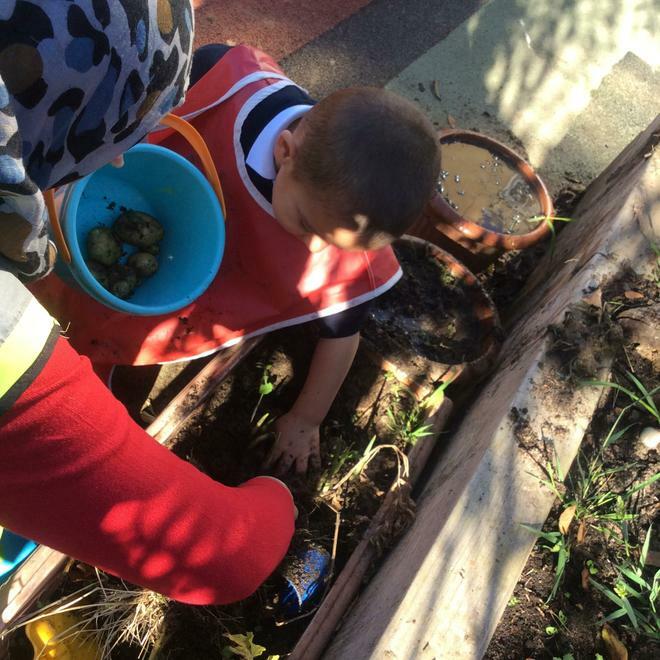 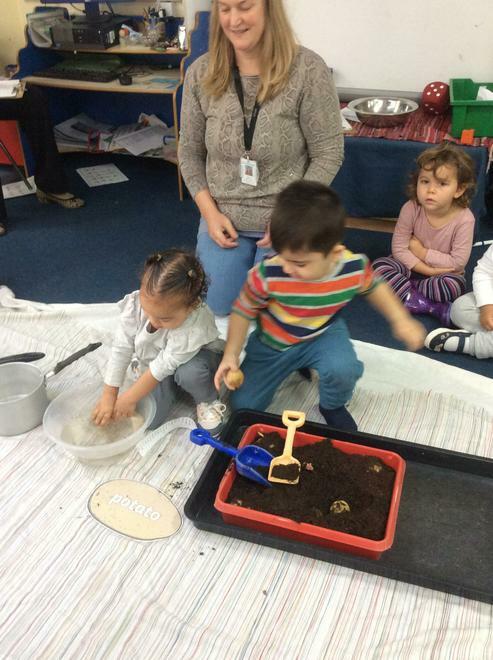 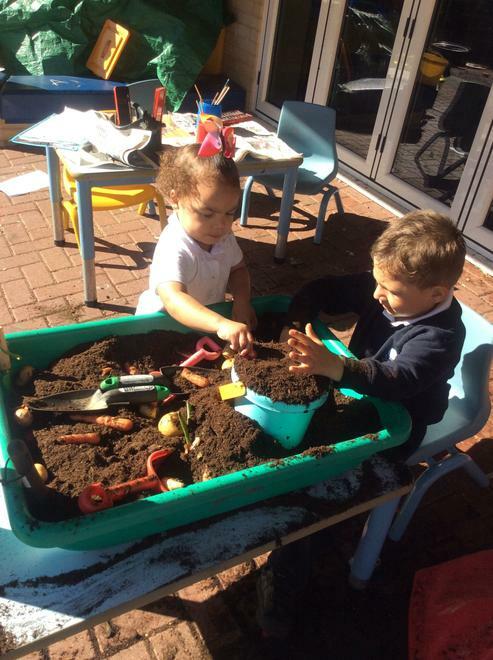 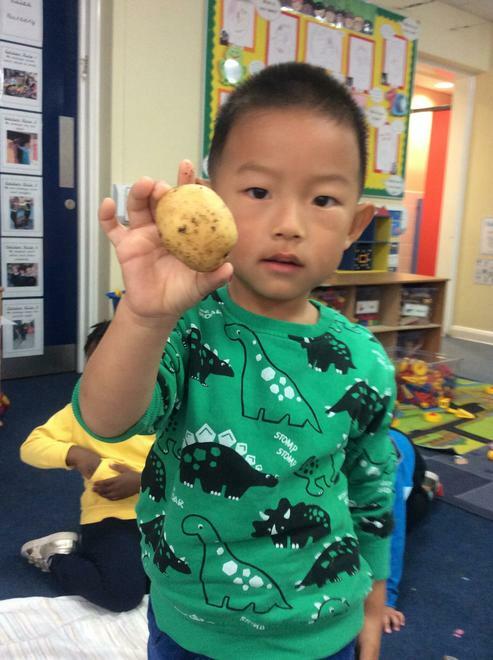 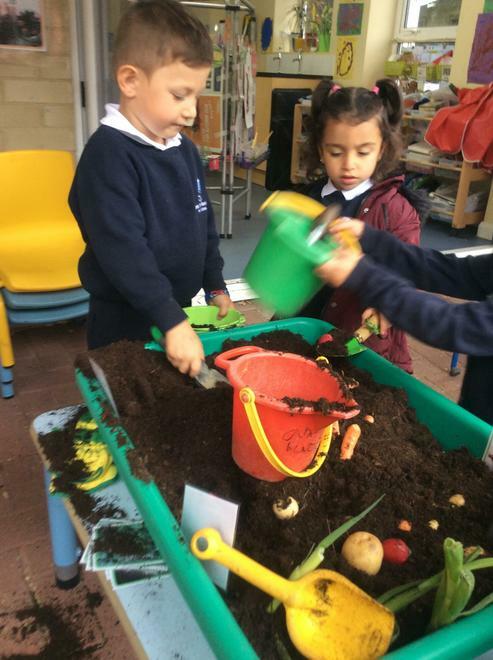 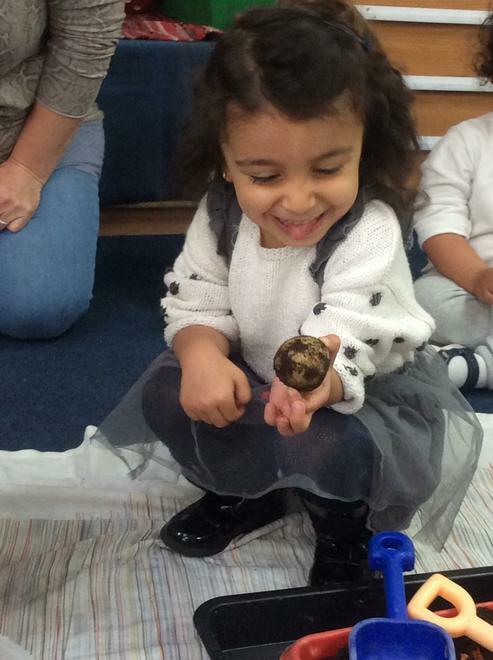 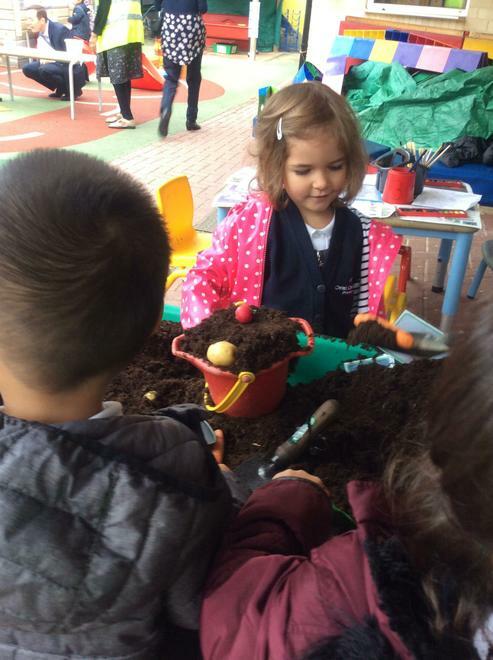 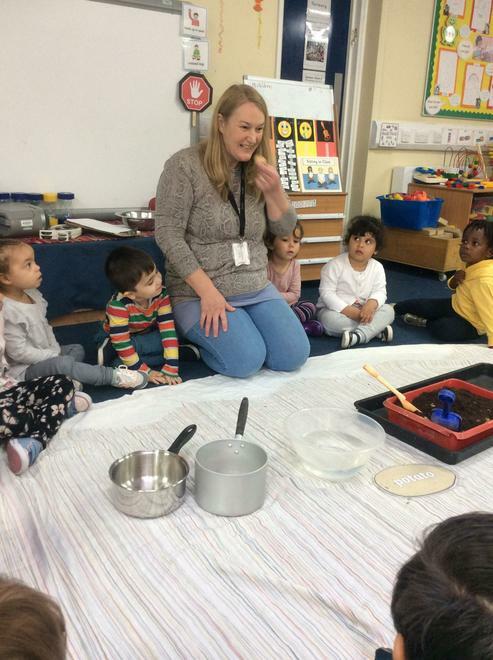 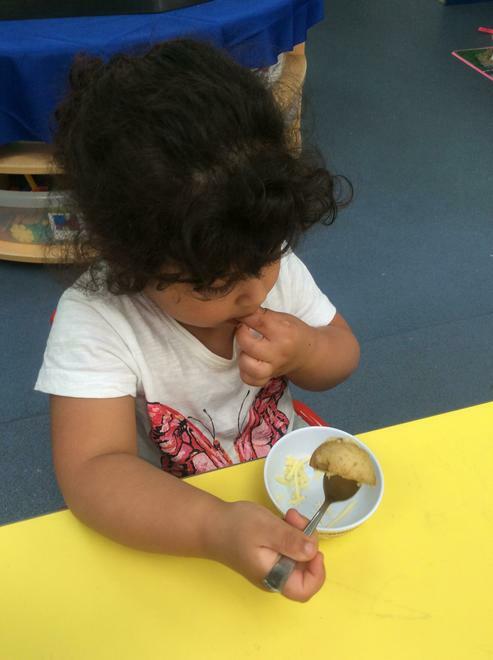 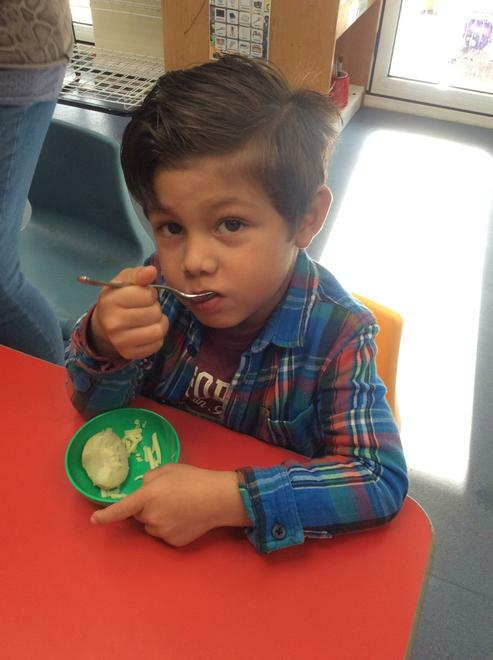 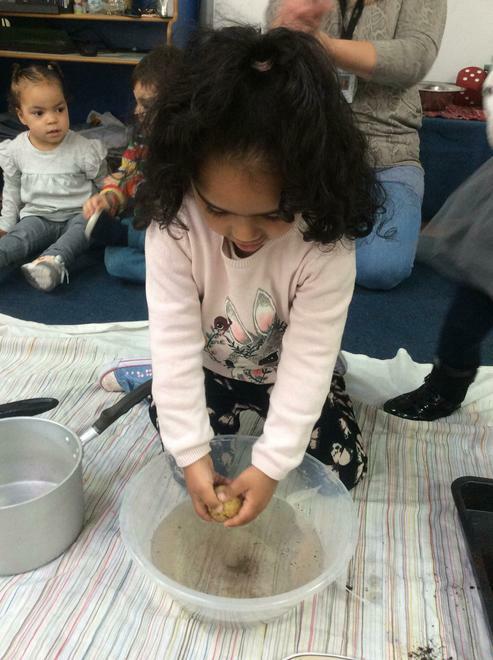 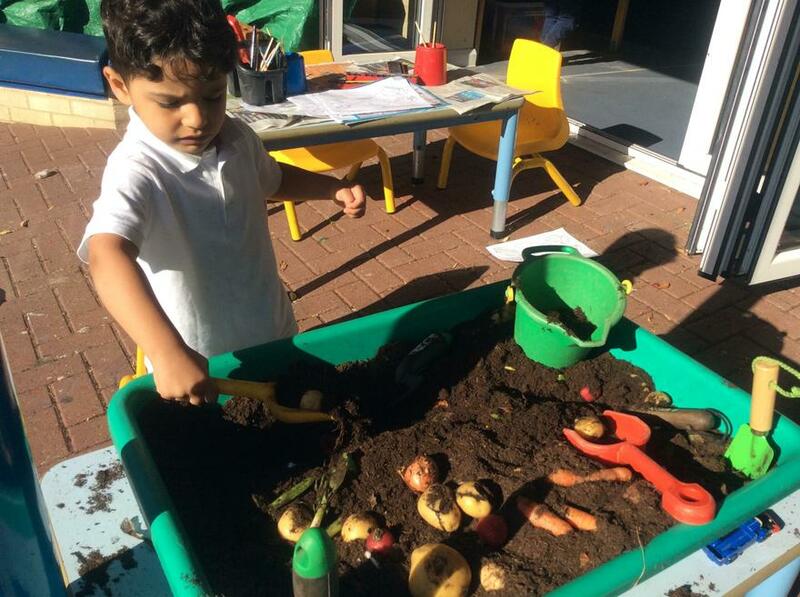 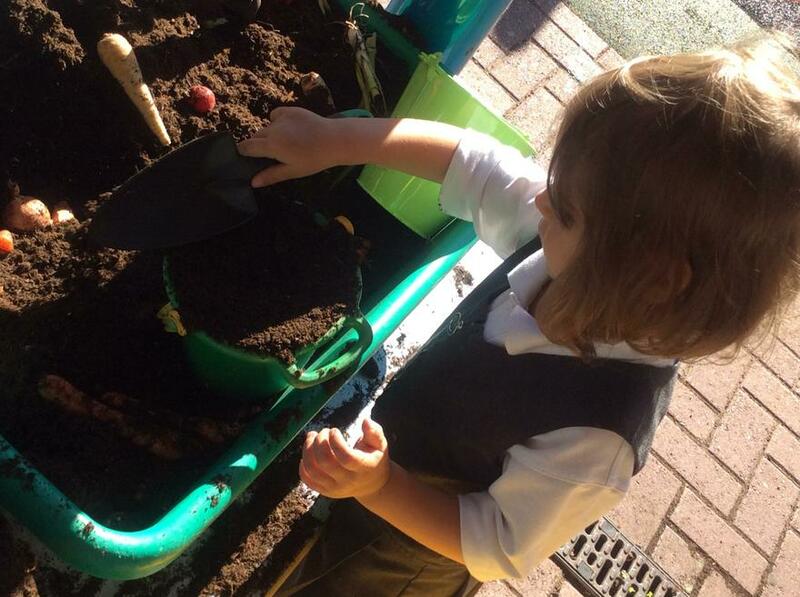 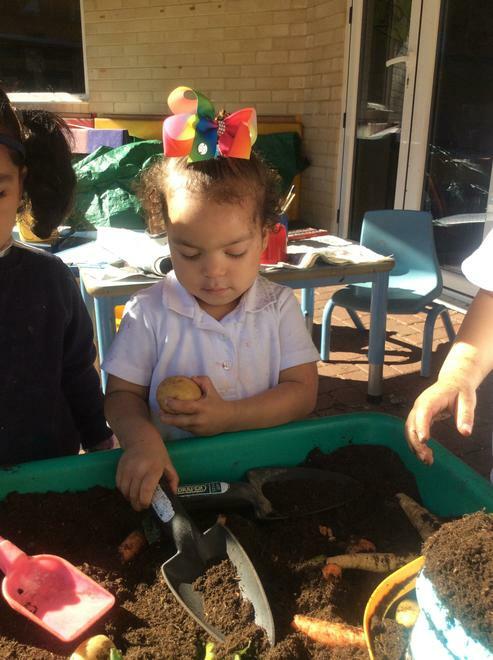 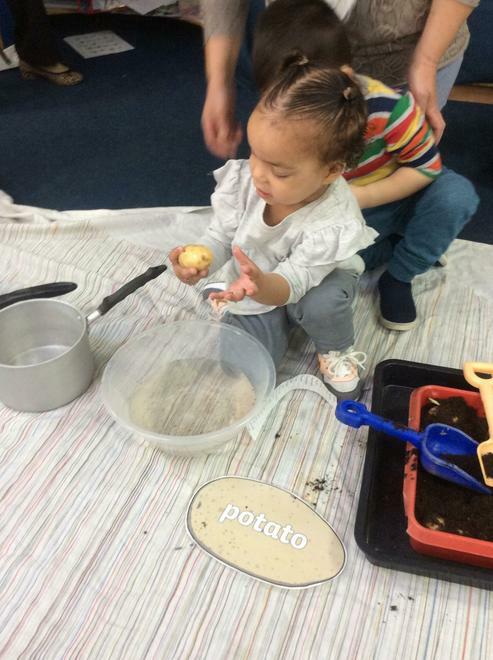 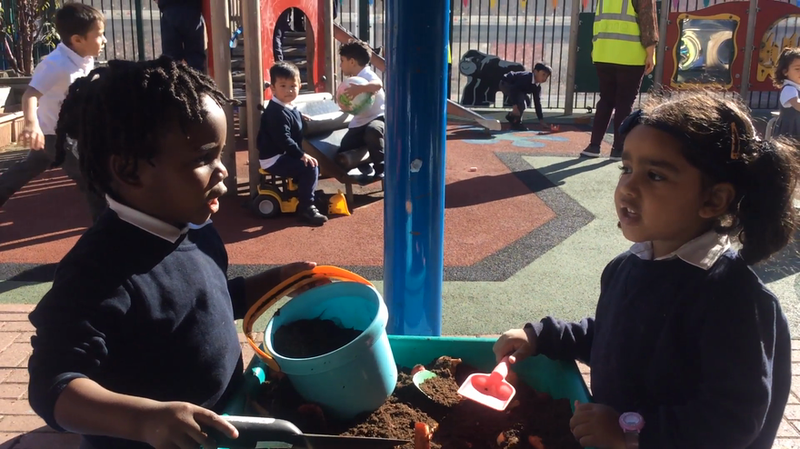 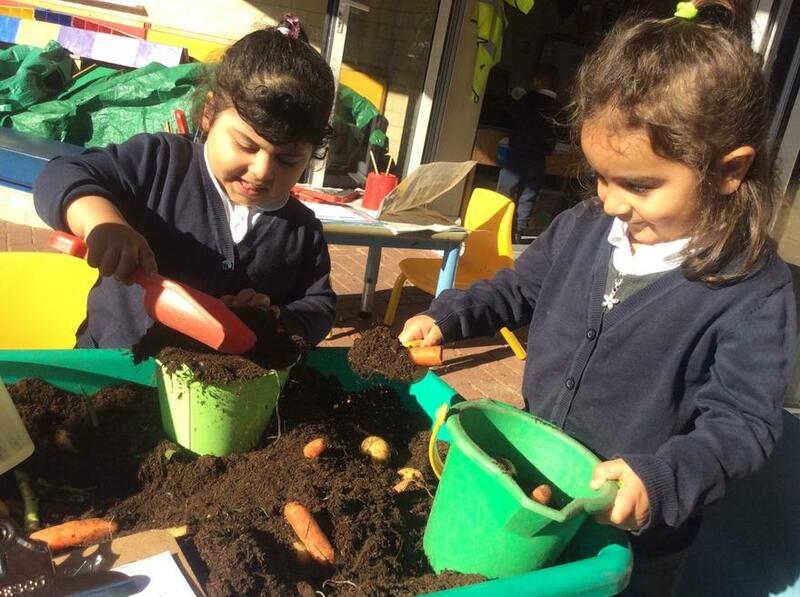 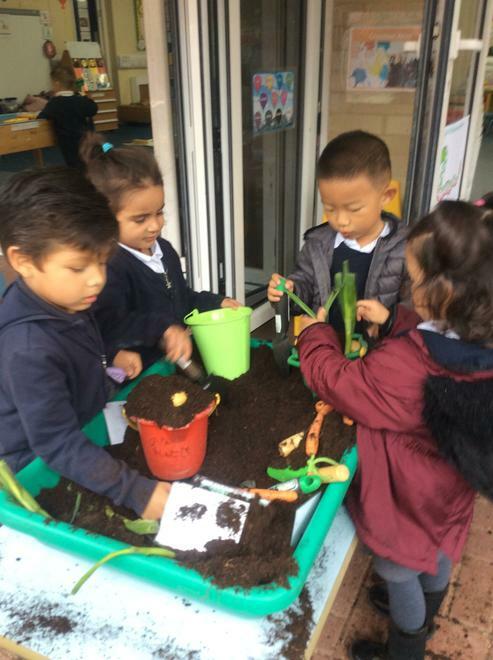 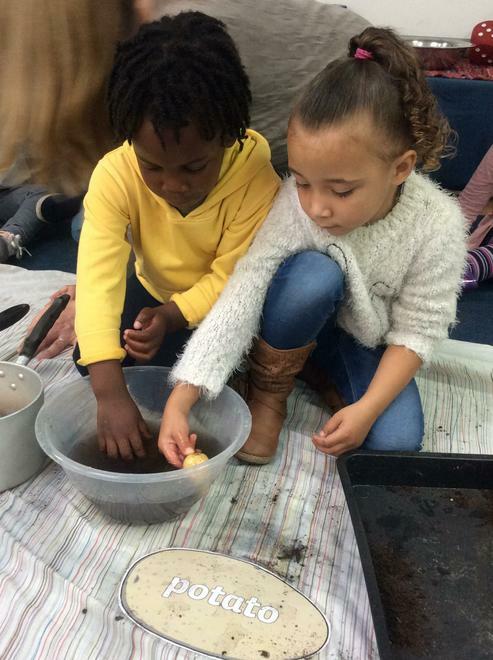 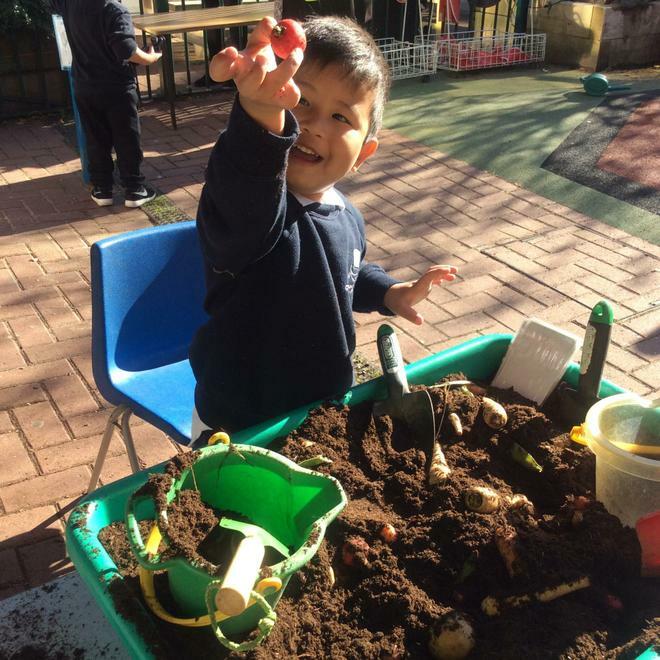 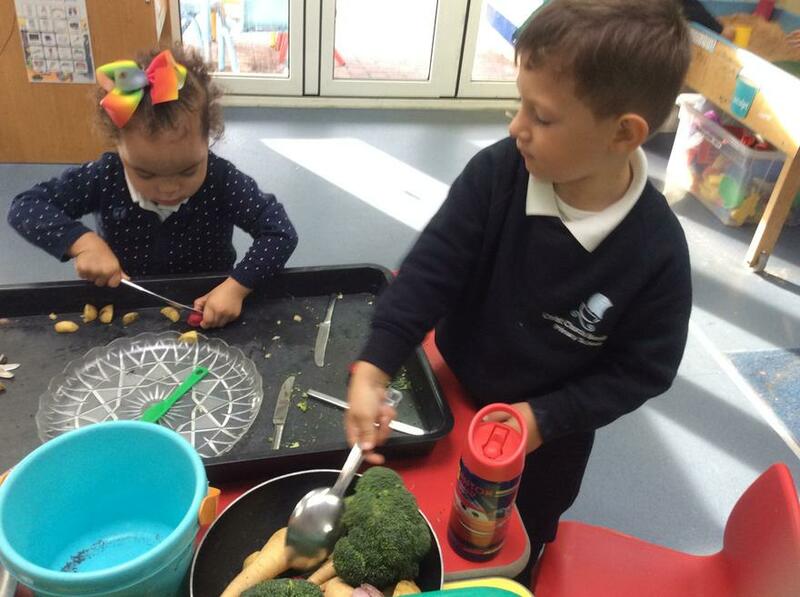 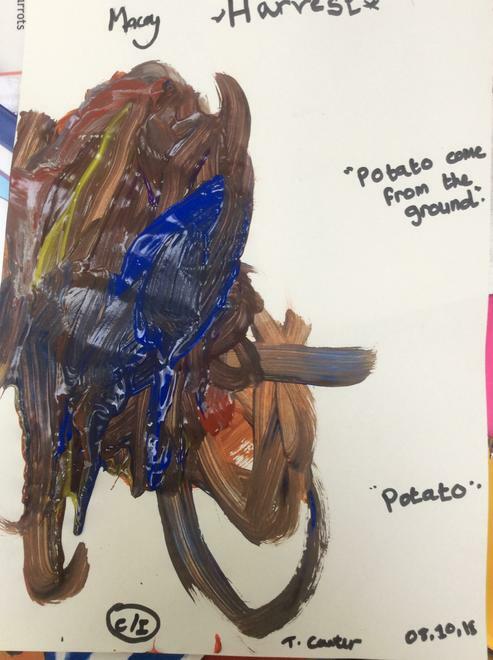 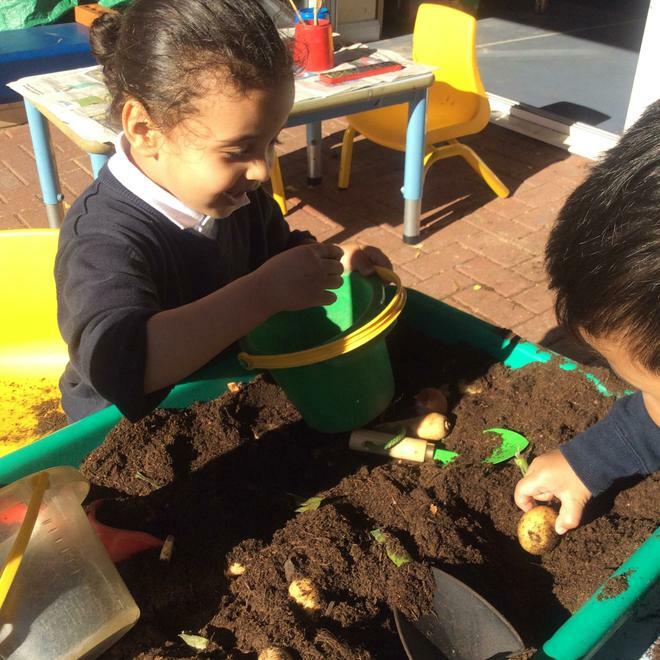 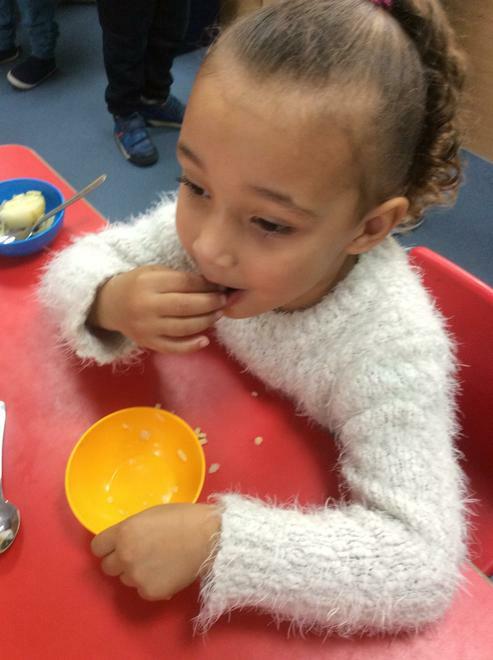 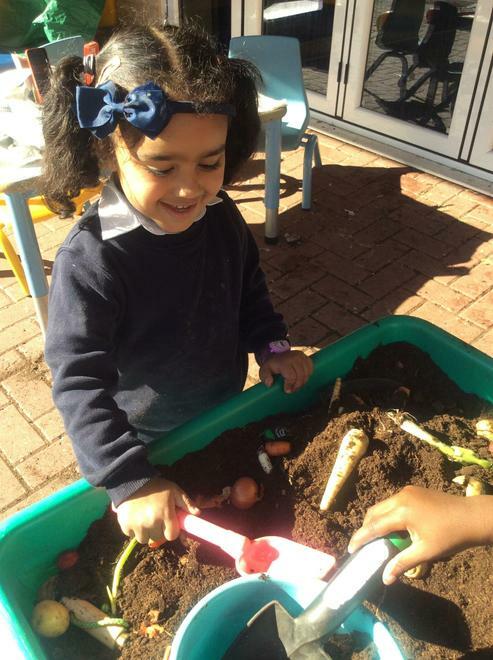 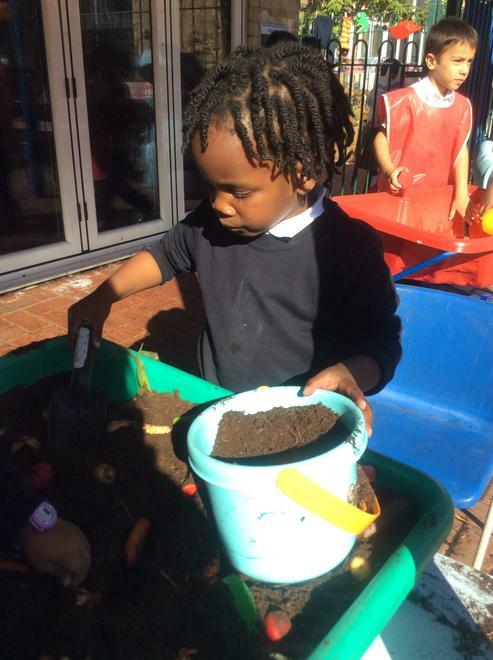 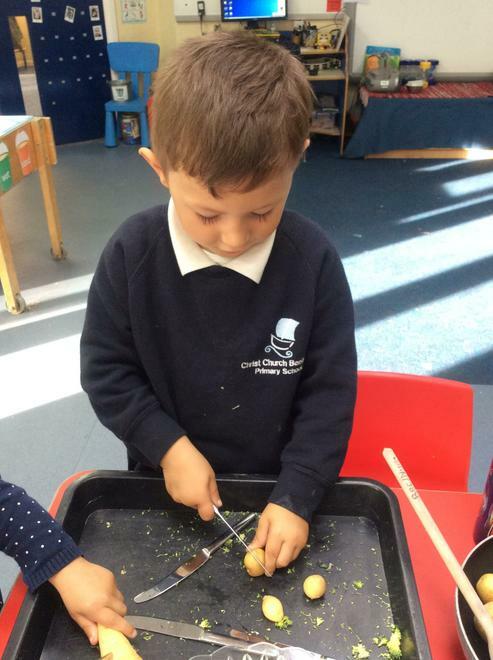 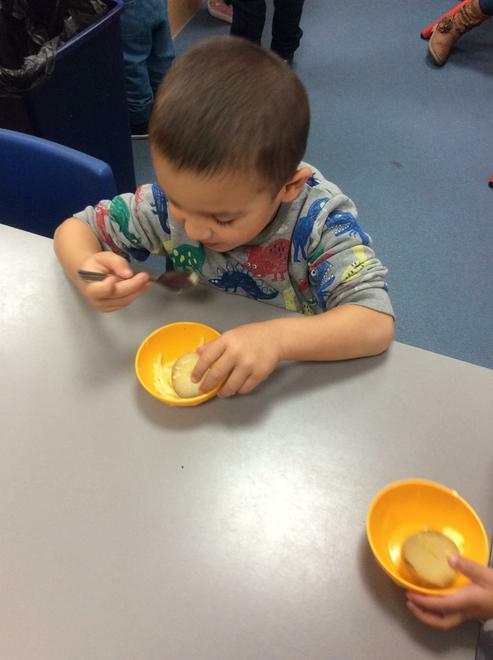 Nursery class dug up potatoes, washed them and put them in a saucepan. 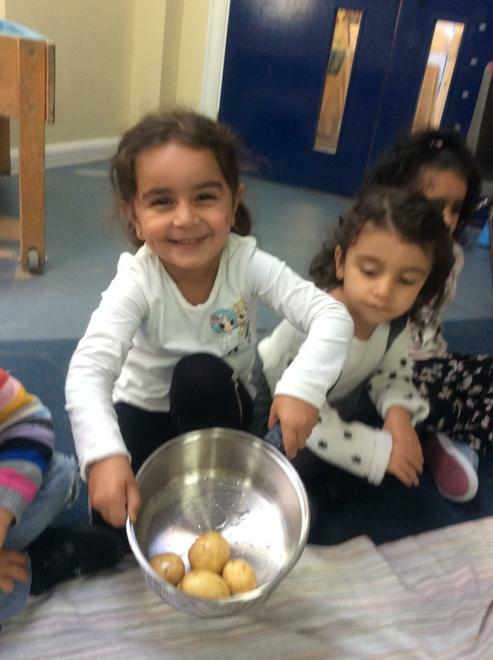 When the potatoes were boiled, the children tasted them with a little butter and cheese.